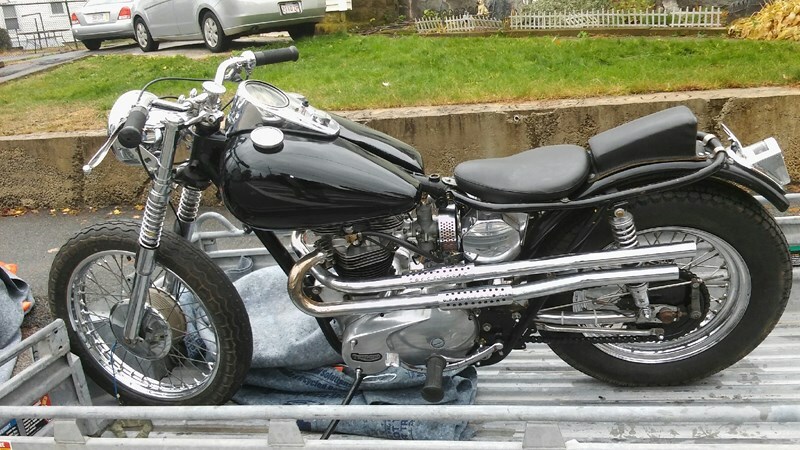 A sweet 1963 TRIUMPH STREET SCRAMBLER CUSTOM BOBBER - motor and transmission rebuilt. (Rebuilt motor: rings, pistons bored .20 over –now 680cc, new head gasket, main shaft seal, pushrod seal, set valves, replace coils. Rebuilt transmission, like new tires. Harley Tank, Harley Wide Rear wheel and axle, nice chrome and black paint really makes the bike pop,Bike runs as good as it looks! Title in hand..
$4200 or best offer or will consider trade for motorcycle with ABS).